Here’s the open secret to manifestation: your success depends on where you place your attention. In everyday life, our attention is scattered. It’s on our bills, on whether we can get the kids to school on time, on whether we’re going to get a promotion, and dozens of other things, all at the same time. This is the Beta mind state: the everyday mind state, perfect for multi-tasking. But – Beta is lousy for manifestation, because your attention is too scattered. If you’ve been trying to use a technique like affirmations to manifest, it’s hard to get your affirmations to create your dreams in a Beta mind state. Your affirmations have zero power. You can create whatever you decide to manifest. In effect, you can create something out of nothing. You’re already manifesting the life and circumstances which currently surround you. You can change these circumstances and manifest something different. All it takes is a secret ingredient. The secret ingredient to manifestation is meditation. When you meditate, you will find that it’s easy to manifest exactly what you want, because your attention is single-pointed: it’s focused like a laser beam. When your attention is focused, what your attention is focused on manifests, and often more quickly than you think possible. In just ten minutes a day, or twice a day if you’re keen, you can change your life. You can manifest anything that you truly desire. This sounds like an outrageous claim, but it’s quite easy to test it for yourself. After all, everyone can spare ten minutes a day. Perhaps you’ve already tried affirmations to manifest a new car, or a job, or a better relationship. Then, when nothing changed, you stopped, convinced that affirmations were pointless. Affirmations do work. However they work when you’re in an accepting, meditative state when you repeat your affirmations, because in this state you’re much more powerful – your attention is focused. When you start the manifestation process with meditation, you’re working with yourself, rather than against yourself. Experienced meditators say that they know when what they desire is on its way to them: there’s a “click”, a feeling of connection. When this connection happens they know that nothing can prevent their desire from manifesting. This connection always happens in a meditative state. This Manifestation Meditation takes just ten minutes a day for seven days. To enhance the process, you can make meditation easy, by using a Brain Sync program to help. Just listen to your chosen program, and you will naturally access a meditative state. You’ll find some recommendations at the end of this article. In just ten minutes a day, not only will you discover what you truly what, but also make the connection that lets you know that what you want is on its way to you. Here we go: seven days to manifesting your dreams. In this manifestation process, you start with relaxation, silence, and with complete acceptance. In this silence over the next days, you will find that your true desires will come to you. So for today’s meditation, just relax, focus on your breathing, and let go. Optimally, you’ll be listening to a Brain Sync program as you meditate, because you can achieve Alpha and Theta mind states more easily. Put on your headphones, and sit or lie down in a comfortable position with your spine straight, and relax. Once you’ve completely relaxed, and your mind is calm, bring to mind a being, or a force, that you associate with compassion. This may be a spiritual figure, or a place in nature, or the earth, or the stars. Bring this being, or this place to mind, and allow yourself to feel the compassion, and the kindness, that’s extended to you. Enjoy the compassionate presence for a few minutes. Today, relax and become completely comfortable again, and let your mind clear. If you’re using a Brain Sync program, put your headphones on, and allow the program to carry you into Alpha and Theta. Gradually, silence will enfold you. Then, ask for your compassionate being to extend kindness to you again – or allow yourself to feel this kindness from nature. Now bring to mind what you want to manifest. You may know what this is, but don’t be surprised if you envision something completely different that you wish to manifest. Breathe deeply. Relax. If you feel that you’re becoming uncomfortable, just focus on your breathing or a time, and listen to the music in your program. Sometimes you’ve got so much attachment to your desires that it feels uncomfortable. We’re all intuitive, but sometimes w suppress our intuition. Your daily meditations will lead to you encountering synchronicities in your daily life. Just take note of these events when they occur. They’re a sign that you’ve made a connection, that your meditation is working. In today’s meditation, access the silence, and the compassionate state again. Allow yourself to completely relax, and feel happy and serene. You may find yourself smiling during your meditation. Allow yourself to feel happy and grateful that you have what you want. Give thanks that what you’ve asked for has already been given to you. When your meditation is over, you may feel an impulse to do something – make a phone call, or speak to someone. This impulse arrives without emotion. This is your intuition at work. It has been triggered by your meditations, and will help you to manifest. Today, you’re going to activate your will in your meditation. Your will isn’t what’s commonly thought of as will-power, that white-knuckle do-or-die feeling. Your will is decision and acceptance. It’s not as much an emotion as a feeling – a sense – of inevitability. Now access your will, which is centered in your hara. In martial arts the source of your will and power is your hara, a point inside your body, about two inches below your navel. It’s also known as the dan tien. It’s a major focus of chi, of life force energy in your body. Imagine this point in your body as a small area of red glowing light, like a candle flame, or a glowing golden ball. Notice the bodily sensations that you have in your hara. Don’t try to change them in any way, just notice any tightness, or other sensation. Then allow the restrictions you have there to release, and allow the energy of your hara center to flow up your spine and out of the top of your head. Begin today’s meditation, as you usually do. Access the silence and the compassionate states again. Then, state your manifestation-desire as though you already have what you want. Feel happy and grateful for your new life – for the manifestation which is already yours. Let your attention move to your hara. Imagine the light in your hara, and feel the sensations. Let the energy of your hara flow up your spine, and out the top of your head. As you release this energy, imagine your manifestation – picture it in any way you can, whether it’s by visual images, by sounds, by feelings. Imagine your new life, with your manifestation as part of it. Imagine events, complete with sight and sound. What does your family think about your manifestation? Today, your manifestation process is complete. Whether you realize it consciously or not, your manifestation is on its way. 4. Imagine your life with the manifestation complete. You can continue to use this process. Your life has already begun to change. Keep growing, and manifesting, by using this simple meditation. 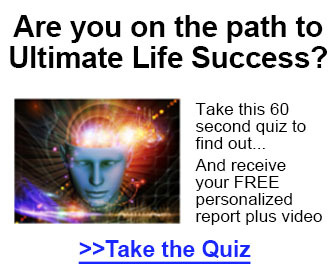 Over time, you can access this “manifestation mind state” within 60 seconds or less in your daily life. For example, if you’re about to give a presentation, use the meditation to both relax yourself, and manifest a wonderful outcome. To assist you with your meditation practices, I’d like to offer you a free meditation audio tracks. Here’s my recommendation for the Brain Sync programs to accompany your Manifestation Meditation as well. Want to start manifesting your dream life now? This entry was posted in EDUCATIONAL LIBRARY, INTERNET MARKETING GUIDES, LAW OF ATTRACTION, manifest, MEDITATION and tagged Education, law of attraction, manifest abundance, meditation, mindset training by Jay Hinson. Bookmark the permalink.